Wow! We're almost to August 1st and that means summer break is quickly disappearing. Have you been keeping up with your kids' summer learning opportunities? Don't worry. That doesn't mean spending hours each day sitting at the table doing worksheets. Remember, learning is supposed to be fun and easy! 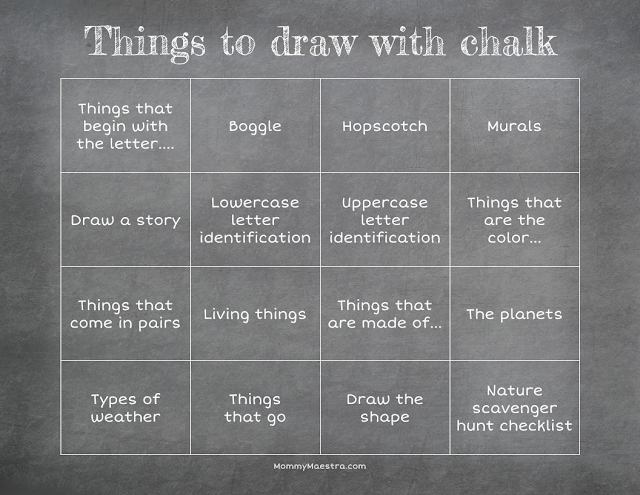 For example, chalk is incredibly versatile! There are so many learning activities you can do with it. 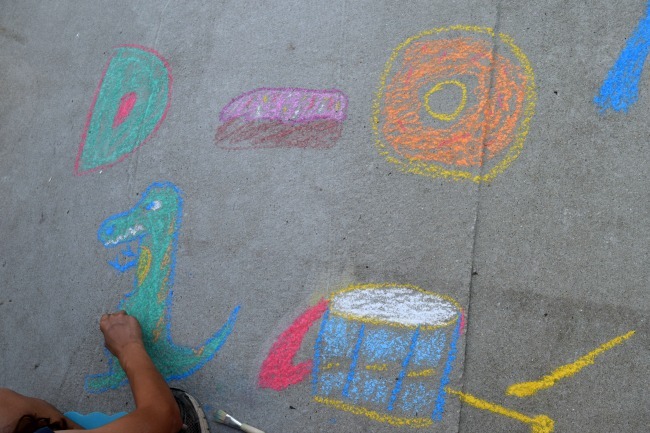 If your kids are spending time outside on the porch or sidewalk, give them some chalk and some directions. Younger children can practice letter identification (write random letters then ask them to circle all the letter "a's" that they see) or beginning letter sounds ("Draw me something that begins with the letter B. "), while older children can practice their storytelling skills by drawing wordless stories or playing sidewalk Boggle. Click on the image below to download the idea chart. 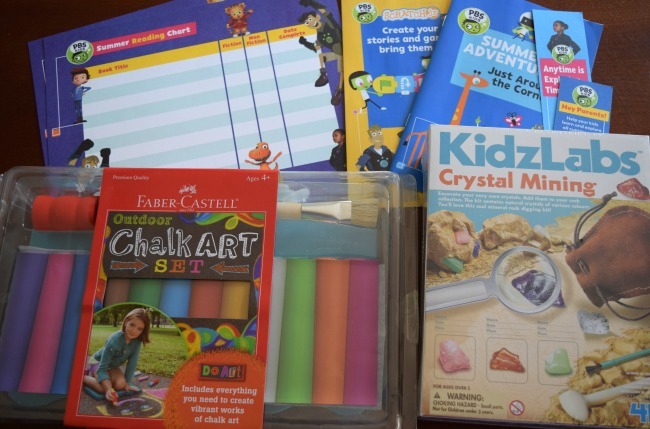 Activity kits like the Crystal Mining Kids Lab shown in the top image are also super popular and very educational. You can find similar ones at your local Target, Walmart, or craft store. They're designed to keep your kids busy learning and out from behind a screen. And of course, there's nothing better than reading books. From activity and craft books to chapter books and novels, your kids will be boosting not only their vocabulary, but their reading and spelling skills, too. PBS KIDS has some awesome summer-themed downloads for your family. 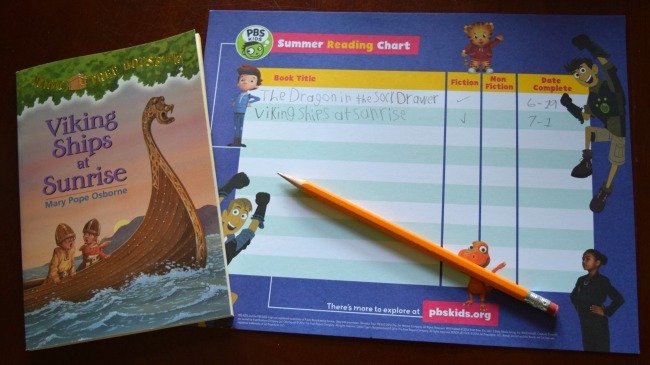 If your kids watch PBS KIDS shows, they'll be crazy about this year's designs with the Kratt brothers on their reading log and inside their summer adventure booklet. The latter has lots of fun activities such as writing your own creature adventure or making leaf and bark rubbings. Their summer learning site on PBS Parents also has a daily tip calendar to give you ideas on how to engage your children throughout the summer. And if you're on social media, you can participate in their social media challenge. Just share pictures with the hashtag #MyFavoriteSummer. You can find this week's theme here. And don't forget that PBS KIDS has lots of new summer programs. In fact, the first ODD SQUAD Movie is scheduled to premiere next Monday on August 1st. So take advantage of all the resources that are available to you and keep your kids learning this summer so that they start school strong this fall!